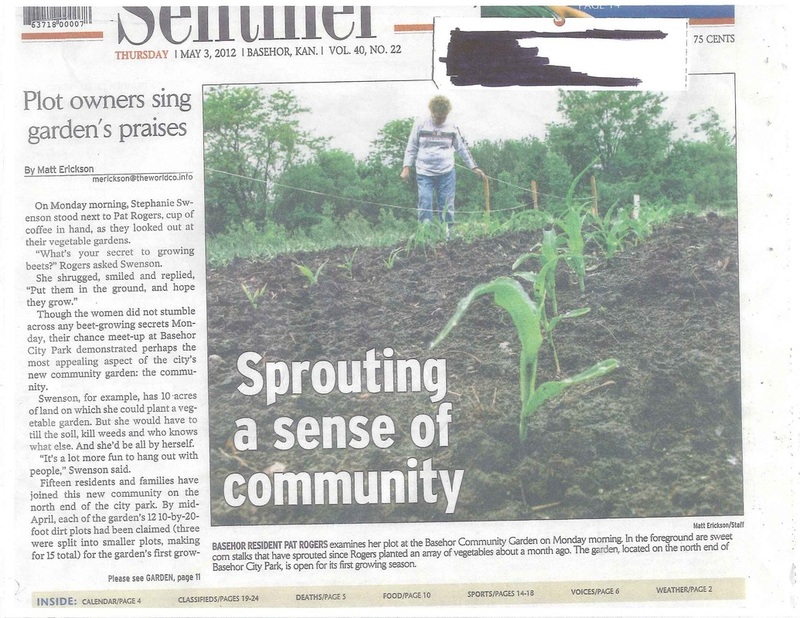 The Basehor Community Garden is a project of the Basehor PRIDE organization. The garden was created to promote the health benefits of fresh produce, educate young people about the benefits and process of gardening and to add beauty to their park. Located in Basehor City Park, the garden has two sizes of plots available for rent—10’ x 23’ or 10’ x 10’ depending on the needs and desires of the gardeners. Kansas Community Garden Grant funds will be used to purchase a storage shed, tiller, tools, watering equipment, soil improvements, and fruit trees. The group also will use funds to purchase equipment and materials to install a composting area.